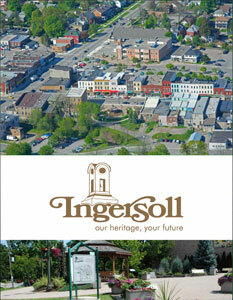 Business View Magazine profiles Ingersoll, Ontario, a town of 12,200, located in In Oxford County, in southwestern Ontario. Ingersoll, Ontario is a town of approximately 12,200 in Oxford County on the Thames River in southwestern Ontario, Canada. The area was first settled by Thomas Ingersoll, who received a land grant of 66,000 acres from Governor John Graves Simcoe in 1793. It was incorporated as a village in 1852 and changed its status to town in 1862. From the mid 1800s to the early 1900s, Ingersoll was well known for the production of cheddar cheese, a craft introduced to Canada by English and Scottish immigrants. Indeed, in 1866, a giant block of cheese weighing 7,300 pounds was produced at the James Harris Cheese Factory and was exhibited in both England and the United States. Today, Ingersoll, Ontario’s single largest employer is the CAMI Automotive plant owned by General Motors of Canada. Its 3,000 workers manufacture the Chevrolet Equinox and GMC Terrain crossover vehicles, producing approximately 300,000 units per year for the world market. Sandra Lawson is Ingersoll, Ontario’s Town Engineer, tasked with overseeing the design and administration of the town’s capital projects and infrastructure. She explains that, currently, she and her staff are working on bringing those areas of the community which are still on septic tanks and wells onto the town’s water and sewer systems. “Over the last three years, we have spent upwards of four or five million dollars, along with the county, installing and reconstructing whole neighborhoods – putting in sanitary sewers, new water mains, new storm drains, curbing gutters because a lot of these areas are still rural cross sections, and improving drainage,” she says. A major project was recently completed on Holcroft Street. A ten-meter deep sanitary trunk main was constructed in 2014, and last year it was extended to the southern part of town in order to spur the development of 174 single housing units. Part of the project’s $2.4 million cost, which included the removal and replacement of 100 trees and the addition of sidewalks, was paid for by the area’s developers, while its residents will pay a connection fee for use of the sanitary line. Oxford County, which is ultimately responsible for sanitary and water infrastructure for its citizens, also contributed tax dollars to the project. Recently, Ingersoll, Ontario got some funding from the Canada 150 Community Infrastructure Program which is part of the Government of Canada’s celebration of the country’s 150th anniversary of Confederation. Lawson says that the money will go to replacing all the windows in the Town Hall, the building’s boiler, and its antiquated building automation system. “So, we’re replacing all of that to make the building more efficient, and we’re also looking at replacing all the lighting in the building with LEDs,” she says. The town has already replaced all its street lighting with LEDs and hopes to replace the lighting in other town buildings over the next couple of years with LEDs, as well. 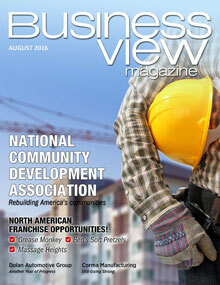 Check out this handpicked feature on Petawawa, Ontario – Dynamic by nature.